More than any other room, the kitchen is a serious hassle to organize. It plays host to an assortment of appliances, accessories, cookware, food cans, boxes and bags – all in need of a proper home. 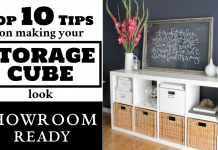 Generally they’re placed in the correct areas, food in the pantry, utensils in the drawers, cookware in the cabinets… but when there’s an over-abundance that makes space tight or nonexistent, one needs to get creative. It’s what we call a “kitchen dilemma” just one of the reasons why we work to promote applicable solutions. You don’t need to live with a mess of pots and pans or a walk-in pantry that looks like it has been ravaged by a hurricane. 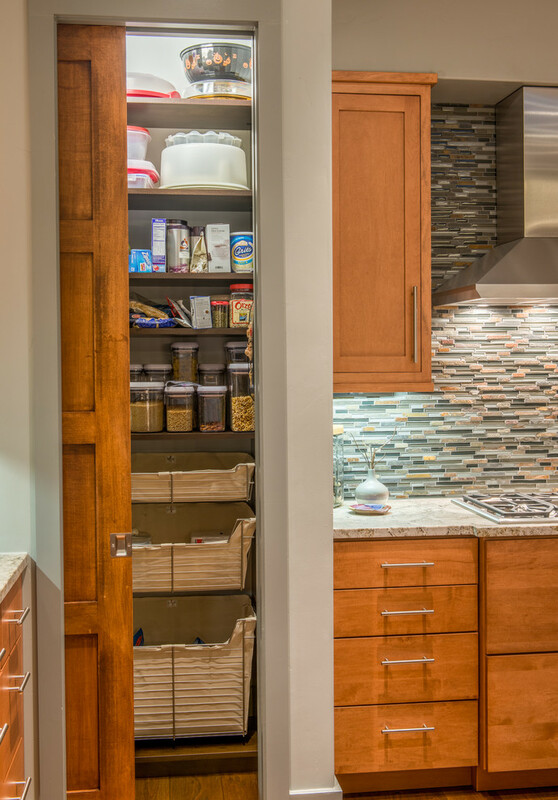 Let’s start there – who wouldn’t want a perfectly organized walk-in pantry? Maximize its capacity by incorporating pullout baskets (especially on the bottom half) and pocket doors. Assign places for everything, you want to have it all designated and visible. Seeing items right in front of you in the same spot consistently will prevent you from buying the same thing twice or for looking twice to locate it. You’ll know where it all is and the days of rummaging through a typical messy pantry are over. 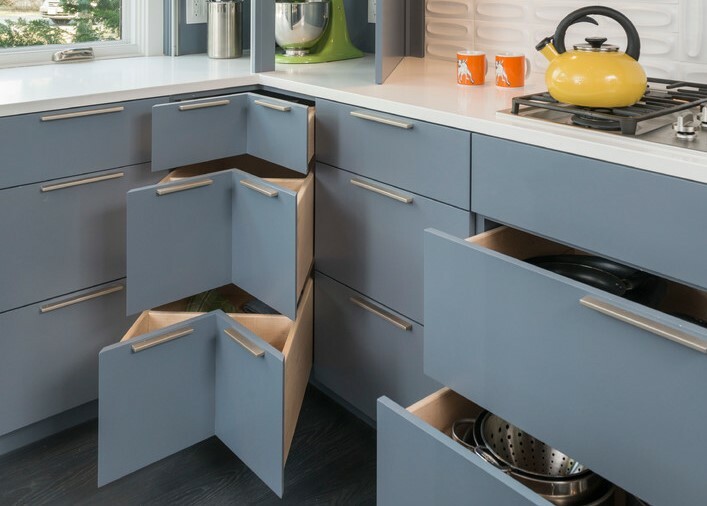 Built-in corner drawers are a new innovation that is proving to be an exciting new convenience. Running diagonally into the corner, these drawers are deeper than their common counterparts thereby giving them the advantage of greater storage. They pull out in a ‘v’ shape, the wide area facing the room. It’s a unique design that doesn’t waste an inch of space and provides ample possibilities for clever organization that you could not achieve with the average drawer. 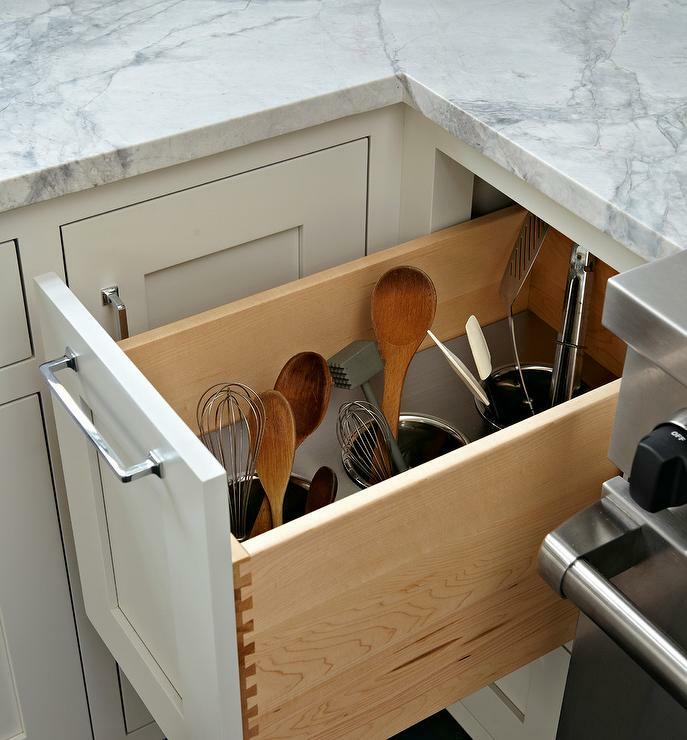 A great way to keep a wide assortment of cutlery in place is to have deep storage cups built into a single drawer, perfect for the insertion of a bushel of utensils. It’s a custom design not everyone can afford but you can be pro-active – it is easily replicated. 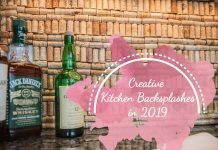 By simply using deep and narrow pots or storage containers as the utensil receptacles instead, you can create an easy alternative that utilizes the exact same concept. Of course you’ll want to keep it organized, all the forks together, spoons and so forth… grouping is key. The pull-out trashcan concept has been around a while but it never seems to catch on in a big way (or die out, for that matter). Maybe that will change. It’s truly effective in its simplicity. It keeps unseemly bins hidden, frees up floor space, and features a side nook perfect for storing the boxes of trash bags and ties, or either kitchen items such as an air freshener (apt in that area). The drawer design can accommodate one or two standard small size trash or recycling containers. The divided cookie sheet drawer is an excellent option for those pans you typically have to lay flat and stack pots on top of. Now, they are divided and stored upright for easy access. It’s also the perfect spot for muffin tins, broiler pans, cooling racks and cookie sheets. 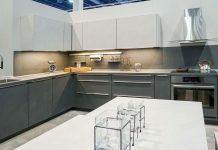 If you don’t have a free space to install the drawer, try a narrower pullout near the stove or add dividers to the cabinet space that is usually neglected above your refrigerator. Perhaps it’s the appliance garage receiving the most notoriety as the popular new kid on the block. 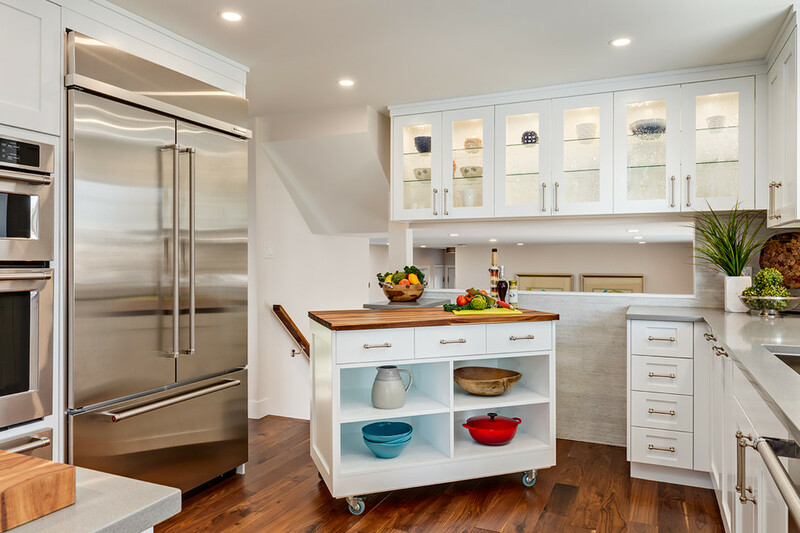 Utilizing the same concept as an actual garage, the paneled door rolls up and out of sight exposing the modestly sized box that keeps appliances like the blender, toaster and mixer within, leaving a free and clear countertop. Similar to a classic large wooden breadbox the design works in any style kitchen. Of course, a deep cabinet organizer is a great substitute for a walk-in pantry. 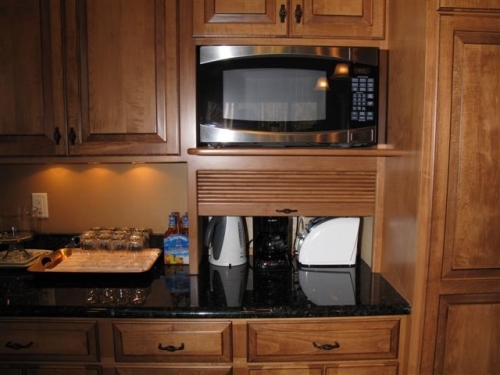 It is essentially kitchen storage that you can pull-out and combine with cabinet door racks. Wide open you have an expansive area divided into thirds – the two door racks and the space of the cabinets interior. You can’t miss a thing – it’s all right in front of you and easy to reach thanks to its masterful design that combines efficiency with convenience. Serving as both a countertop or storage area the accessible rolling cart/cabinet can not only work as a standalone kitchen island (especially effective in smaller spots), but it can double as a bar cart as well. The easy wheeled mobility makes it able to appear on demand in nearly any room, making it possible to serve guests if they happen to be scattered. 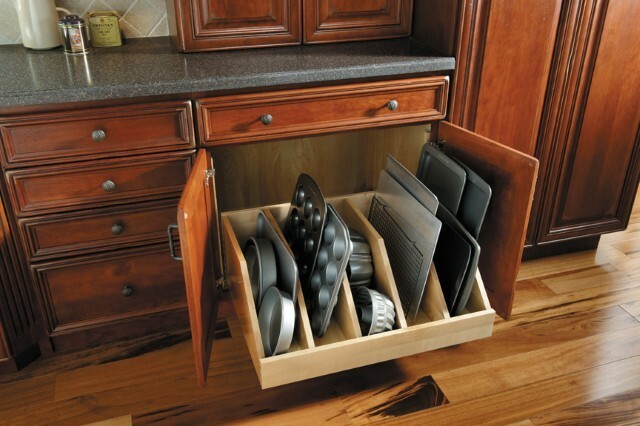 Another great idea, that was more common in homes of a bygone era, is the inclusion of a kitchen mail station. It’s a small desk that you can pull a chair into, facing a ‘command station’ that features bookshelves and mail slots. It’s a great way to keep bills and paperwork organized, and allows for kids to do their homework with a parental unit nearby while lunch or dinner is prepared. 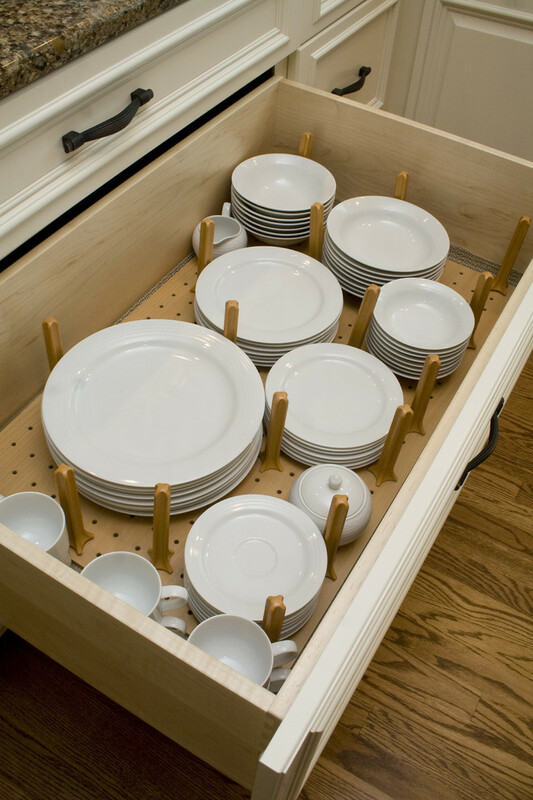 A dish drawer on rollers & slides has organizational partitions and/or adjustable pegs that allow you to dishes without worry of them sliding around and potentially breaking. They pull out and make all of your breakable ware safe and accessible. The pegs make fitting everything easy, and the sturdy construction can accommodate up to 100 pounds. And you’ll never go wrong with open shelves. Whether they’re made of wood or stainless steel, they can decoratively and efficiently display or store any number of dishes and accessories. But perhaps it’s the pullout shelves that provide the most resourceful storage as they keep the contents hidden and out of the way. Simply open the cabinets and pull out the shelves and never worry about straining to reach into those deep corners again. 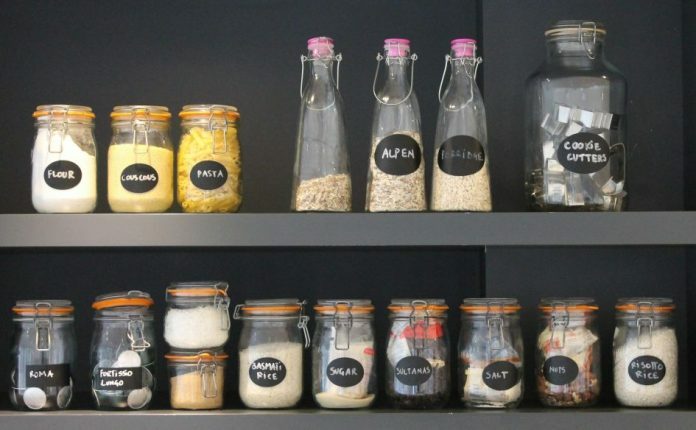 It’s just another great example of how far ingenious solutions for kitchen storage have become.